« Do students really learn what’s taught? Just about everybody entering the park had a digital profile on file … name, address, linked friends & family. Info collected when tickets are purchased. 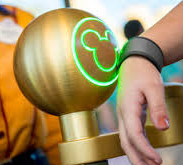 And, practically all were armed with Magic Bands … RFID transmitter bracelets that connected people to their profiles in real-time. If your profile is current and consistent with your personna, you get greenlighted to the next step: digital finger-printing. Yep, for the first time in my life (I think), I was fingerprinted. I had an imprint of my index finger digitally scanned … voluntarily, of course. All of the crime detectives seem to hit a wall when a perp’s fingerprints aren’t in the FBI fingerprints file. Privacy issues aside, imagine (“imagine” is a Disney word) if the Disney fingerprints file were appended to the FBI file. Back to the Magic Band … the personalized RFID transmitter. When we entered rides using the Fast Pass option, our magic bans got scanned. “They” knew where in the park we were. When we got off a ride, we near-instantly got an email from Disney … attached was a picture snapped of us on the ride. The system had read our RFID when we passed a “photo spot” on the ride, snapped a picture, linked it to our profiles, grabbed our email addresses, and sent a copy of the picture. That’s pretty cool, but also downright scary when you think about it. Imagine other ways this kind of technology can be — and probably is being applied. Pinging my band from strategically located RFID hot spots … literally tracking my every move. No problem if they’re wearing their Magic Band. Want to know if everybody has left the park when it closes? Just check to see who hasn’t pinged out at the exit gate. 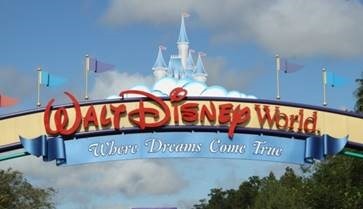 Shouldn’t the Feds be learning about security from Disney? Seems like Disney is a step ahead on technology applications. This entry was posted on April 15, 2019 at 6:15 am and is filed under Uncategorized. You can follow any responses to this entry through the RSS 2.0 feed. You can leave a response, or trackback from your own site.